Work for X1 Social Discovery? Learning about X1 Social Discovery? "The best tool for social media / web collections on the market"
X1 does a great job of collecting the most information from various social media sources. The X1 developers are also very responsive in updating the software when social media platforms add restrictive security measures to their sites that make collection impossible. On rare occasions, "web crawl" collections may hang in the software. This is typically because the website content is too large. Other than that, we haven't had any serious issues with the software! 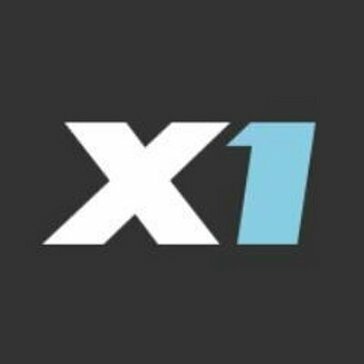 X1 Social Discovery has assisted us in countless school investigations, employment disputes, and intellectual property matters; it makes it easy to view, filter, and search all the data in one convenient location. "X1 Social Discovery - A best in class tool for social media and online data discovery." Full end to end eDiscovery workflow from collection of online and social media data through to production. The software itself is great, but the target online social media platforms can be hard to work with - they are always changing security and ways of publishing their data. Notwithstanding those changes the team at X1 continue to do a great job to maintain functionality. It is helpful to understand how the major social networking sites publish data. Forensic acquisition of social media and other online data for disputes, discovery and investigations. "Anytime you need to capture web based evidences, X1 is the tool to use." X1 Discovery can be considered an industry standard and your evidence rarely disputed. Doesn't crawl all social media types and not every web site is supported. X1 has been around since the beginning of social media eDiscovery. There are rarely any disputes when the evidence is questioned. "Enhancing Investigations with evidence based results from social media"
If you purchased as it used to have APIs to work with i2 Analyst's Notebook, confirm beforehand as this feature is no longer supported. * We monitor all X1 Social Discovery reviews to prevent fraudulent reviews and keep review quality high. We do not post reviews by company employees or direct competitors. Validated reviews require the user to submit a screenshot of the product containing their user ID, in order to verify a user is an actual user of the product. Hi there! Are you looking to implement a solution like X1 Social Discovery?